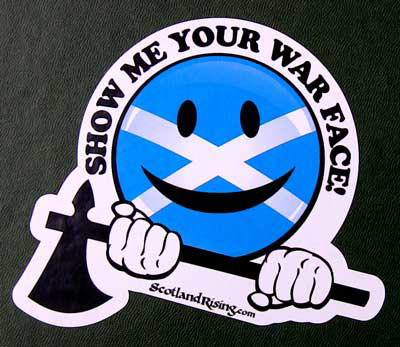 5"x 5" or 12.5x 12.5cm Show me your War Face Vinyl Decal Sticker. Great for Decorating any of your stuff. Only 2.49 including Shipping! Get the matching Warface shirt to go with it and it's FREE until 7/31/2012. No need to add it to your cart if you purchase a war face shirt we will automagically send it with the shirt. best sticker ever! I ordered 11 and I am now down to 2 everyone I give 1 too loves them.